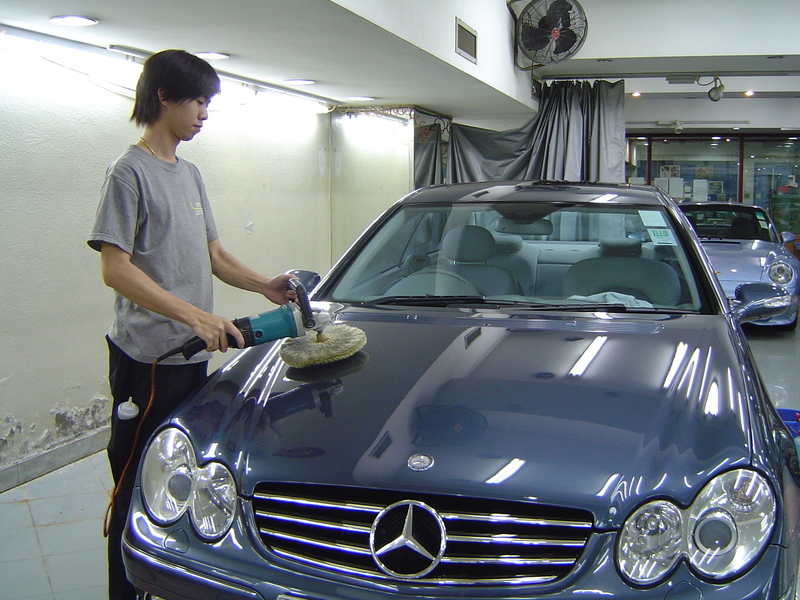 Except the service of dent repair, Dent Doctor also provides car detailing services. Car owners only have to convey their cars to us to enjoy services like engine cleaning, interior sterilization by steam, restoration of scratches and triple-layered wax polish as well as dent repair. When the owners come to get the cars, they will find that the cars are dent-free, scratch-free and as shinny as a new one. About our glass mending service, the raw material and the skills are all from U.S.A. . About 60 minutes is needed and the degree of restoration is over 90%. Glass cracks are usually caused by hitting by stones during driving. The areas are small and thus there is no need to change the whole piece of glass. By the way, if the new piece of glass is not fixed properly during the changing process, there will be leakage. Therefore, glass mending is a fast and safe way for dealing glass cracks. Therefore, glass mending is a fast and safe way for dealing with glass cracks. Besides all these Dent Doctor also provides services such as enamel baking, motor maintenance and motor transactions. We provide one stop services for car owners to solve all problems of numerous famous brands as shown below.